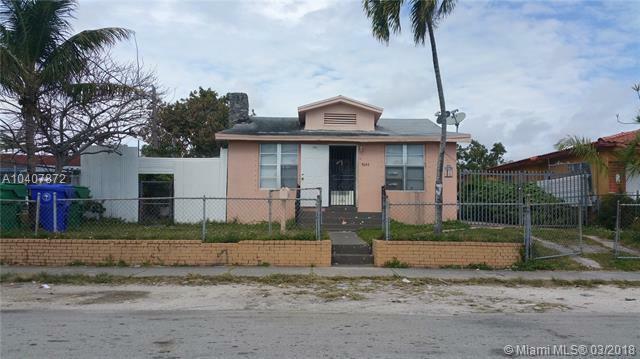 Excellent investment property within walking distance to Coral Gable Ponce De Leon Blvd., and West Flagler St.According to the City of Miami it has a zoning of PA Primary Zone 5700 DUPLEXES - GENERAL. Properties next door have a Primary Land Use 0803 MULTIFAMILY 2-9 UNITS : MULTIFAMILY 3 OR MORE UNITS. This up and coming area allows for excellent rentals and one block from Coral Gales one of the most beautiful cities in Florida. This is a single family frame property and there's a demolition order from the City of Miami. Look at the aerial look under attachments. There's only one electric meter. Listing courtesy of Gtr Realty, Inc..